The Ten Sleep Library was full tonight of history buffs, ready to listen to Marcus Huff spin tales about the real Billy the Kid. 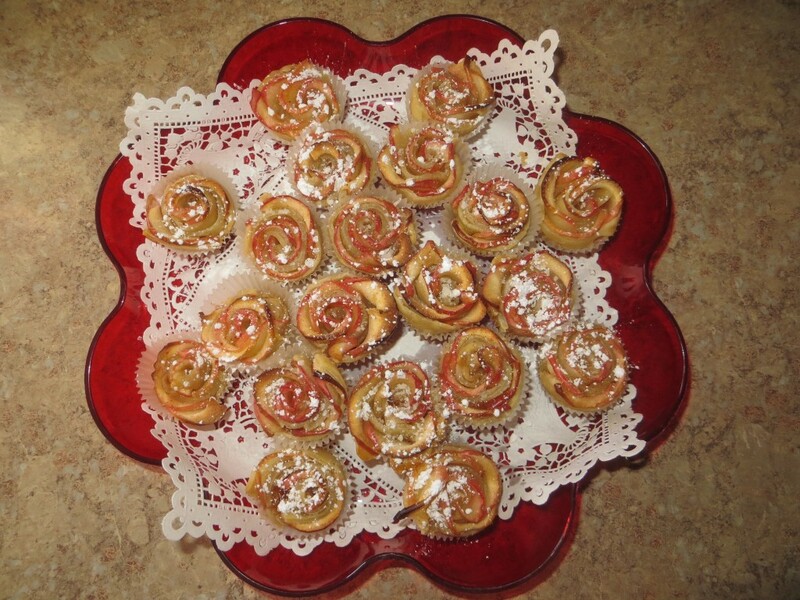 For my share of the refreshments, I made apple roses. I have to admit, they did turn out quite pretty! We came to listen to Marcus! 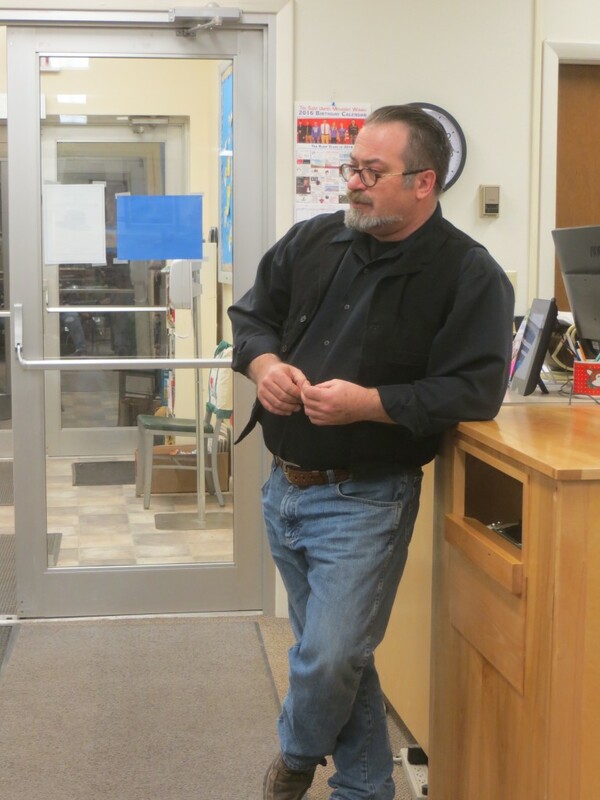 Marcus is a great storyteller… and to say he is familiar with William H. Bonny is an understatement! This guy KNOWS the tale! My dad was a weaver of stories… and history intrigued him. That is why, pure and simple, that I became infatuated with history and cultures myself. I had thought to myself, and someone else voiced it as well… that THIS is the way history should be taught! By people passionate about the topic, who can draw you in, fascinate you with details, and leave you wanting more! Thanks, Marcus, for coming to the library… you’re welcome back ANYTIME! Hi Carol, I’m Vickie from Texas. I found your blog only last week and I do enjoy your stories and pictures. I want you to know I have been through Ten Sleep while on our way to Yellowstone. We had been visiting my family in South Dakota. My husband and I were very intrigued how Ten Sleep got it’s name, so I Goggled it. Now we refer to travel in sleeps ! Your apple roses look delicious! So dainty and inviting to the eyes. Makes my mouth water. You are so blessed to have such an interactive library. How about the recipe for your apple roses? So wish I could have been there!! The ability to tell a great story is a wonderful gift. It’s one of the reasons I love listening to Craig Johnson so much. In these days of so many electronic gadgets I feel we miss a lot by not having great storytellers!